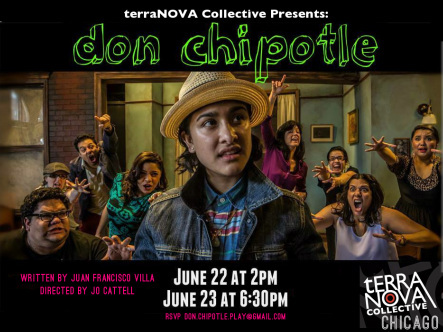 DON CHIPOTLE is inspired by the classic story of Don Quixote and Juan Villa's experience growing up in an immensely violent environment of the Lower East Side of New York City. The tragedy is not that of an old man who, while going senile exudes the spirit of an uninhibited child, but that of a child who has his childhood hijacked from him, forcing him to grow up too fast. This is a magical adventure story, where, through the eyes and brave action of a child, the audience crosses the vast metropolis of Manhattan to see the world put to right.